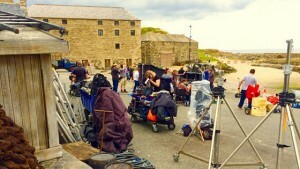 We offer Film and TV Production services throughout Scotland. From scouting for locations through to sourcing an entire production crew and equipment, we can supply everything you need for your production. Over the years we have amassed an extensive database of images and contacts which gives us the ability to advise on the best locations for your shoot in Scotland. Alongside this we have built relationships with some of the best crew and suppliers of equipment in the business. Our local knowledge ensures your production stays on budget and on schedule.